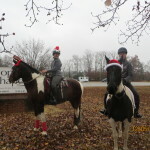 The Amelia Christmas Parade was a lot of fun and very wet!! 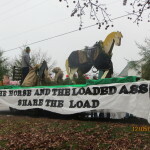 We all had a great time setting up the float and being together. Eli’s mom had the candy all organized with plastic holiday bags for each person to carry their share and thank goodness. I had brought paper bags and they would have been soaked through in no time. 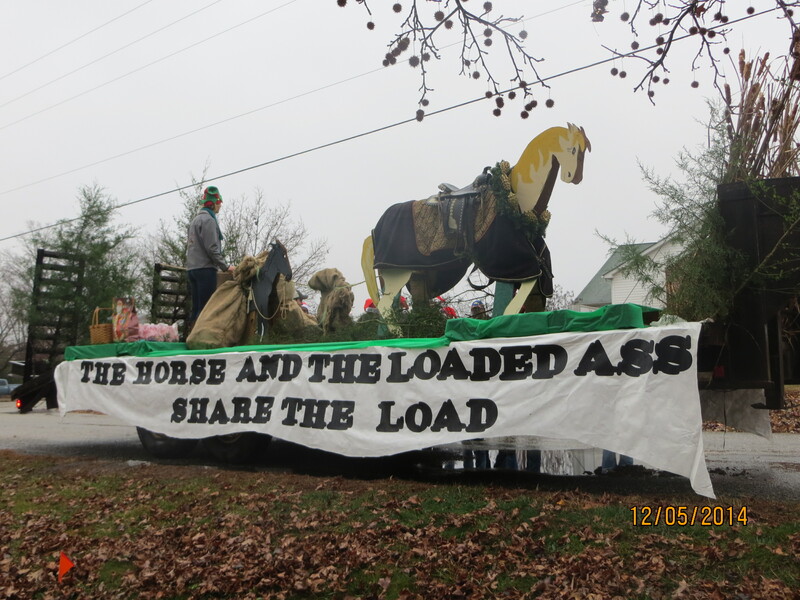 Everyone dug right in and set up the float and it turned out great. We won’t know what the judges thought until Thursday when the paper comes out. The children and adults ran from the float and gave candy to all parade watchers, we saw and were cheered on by lots of our friends. 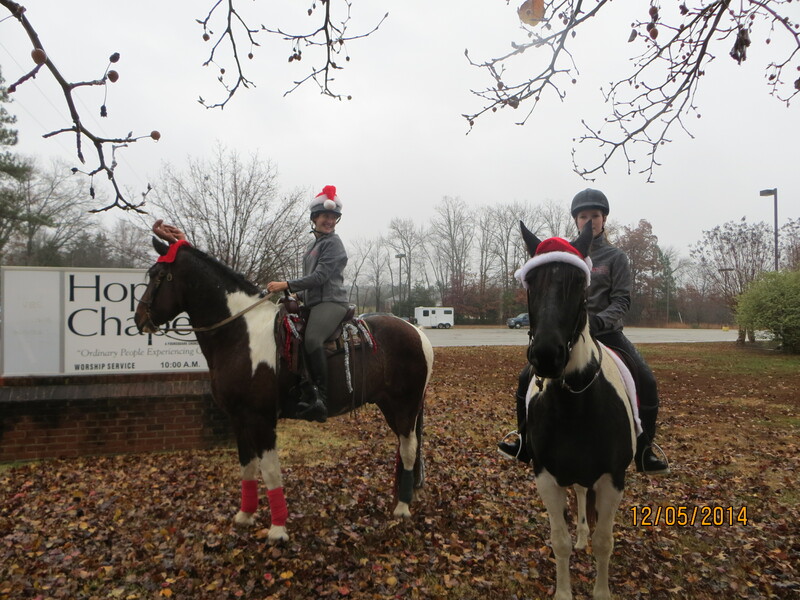 Cindy Charboneau and Sheridan Conner rode their matching paint horses in holiday fare and it was all just perfect! Thanks everyone for a great Parade.